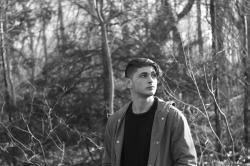 Midsplit Releases Hip Hop Oriented Single "Fall Out"
Dj/producer Midsplit has been on fire lately, releasing track after track and capturing the notice of a lot of big artists such as Steve Void and Nicky Romero. This artist has been on an absolute roll and it doesn't seem like he plans on stopping anytime soon. Midsplit recently released a hip hop oriented track full of vibes and rhythm. Entitled “Fall Out”, it's something that is bound to catch your ear, combining the vocal talents of Paige Garabito and TwoPack. Although the track is a step away from what he usually releases, it is definitely welcome.